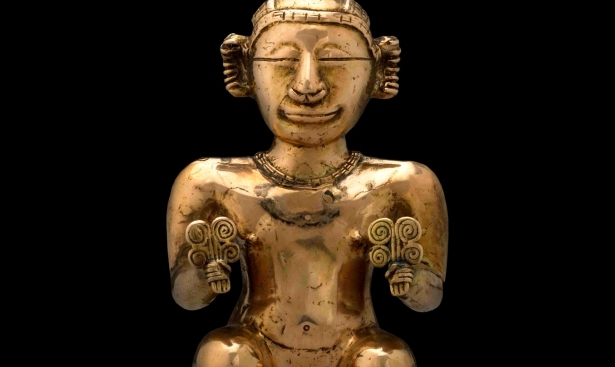 In ancient states, golden sculptures were in high esteem. Statues made of the noble metal were erected in the honor of the rulers and national heroes. Legends were told about the golden monuments, people from all over the world came to see them. 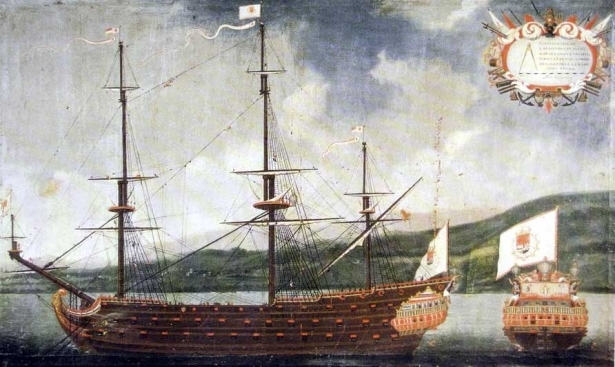 Not only monarchs were proud of those creations, but the whole nations and states. 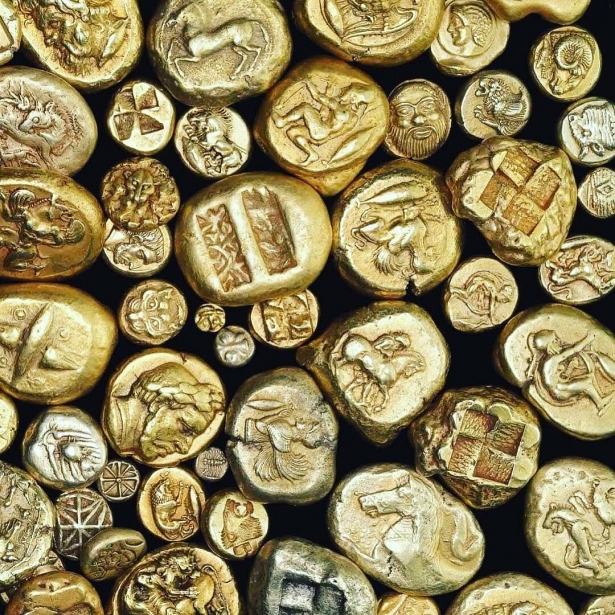 Nowadays, sculptors and architects also use gold to create their artwork that can be distinguished by unusual forms and originality. 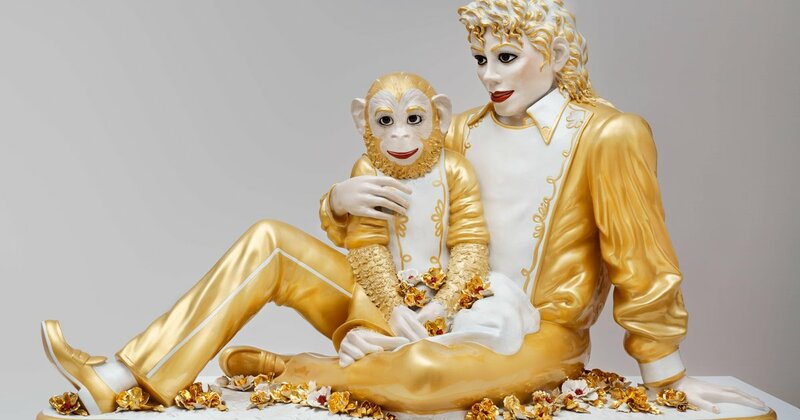 We tell about interesting golden sculptures of our time. In 2011, a bull sculpture made of 24K gold was unveiled at the new giant skyscraper located in the city of Jiangyin, East China. A precious monument is one of the main attractions of the "millionaire's village" Huaxi. An interesting fact: the massive golden sculpture weighs 1 ton. 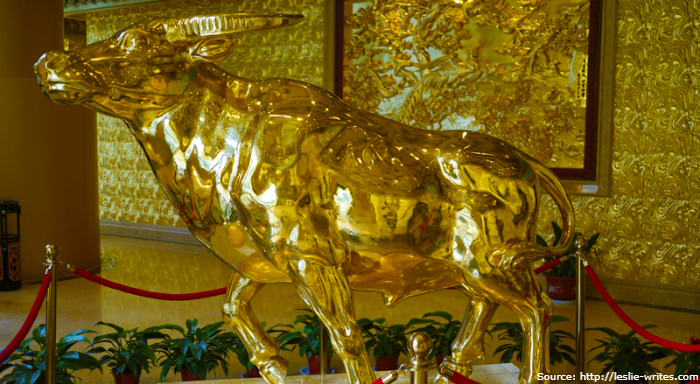 In the photo: a bull monument in the hallway of the Huaxi skyscraper. 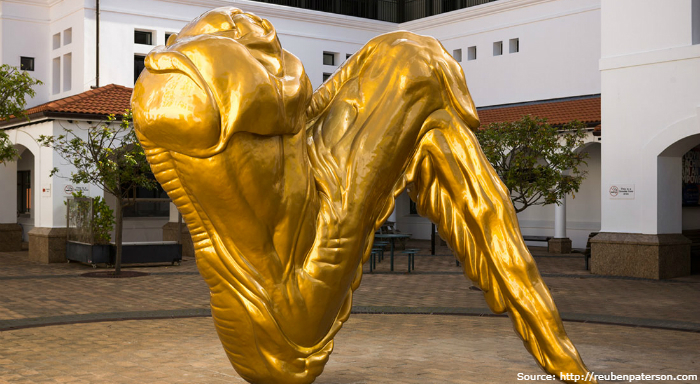 In 2014, an unusual sculpture called "The Golden Promise" has been built on the territory of the Massey University campus in New Zealand. It represents a giant gilded chicken wing. The author of the artwork is the artist and sculptor from New Zealand Reuben Paterson. An interesting fact: the university students have a ritual: it is necessary to pass under the wing to ensure successful studies. In the photo: students ironically call the sculpture "a portal to the bright and golden future." 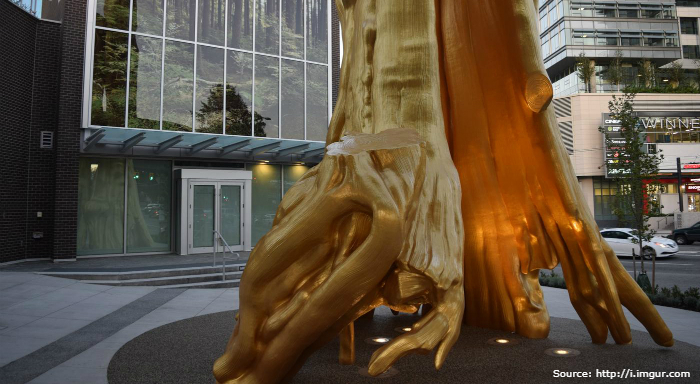 The sculpture "Golden Tree" was created in 2016 by the native citizen of Vancouver Douglas Coupland, as a tribute to the Hollow Tree from the city Stanley Park. The gold sculpture is its exact replica, reflecting the close linkage with nature and the urban environment. 6,000 hours of work were spent on the creation of the monument. An interesting fact: the ancient Hollow Tree is 800 years old. In the photo: the height of the sculpture is 13 meters, its weight — 22 tons. 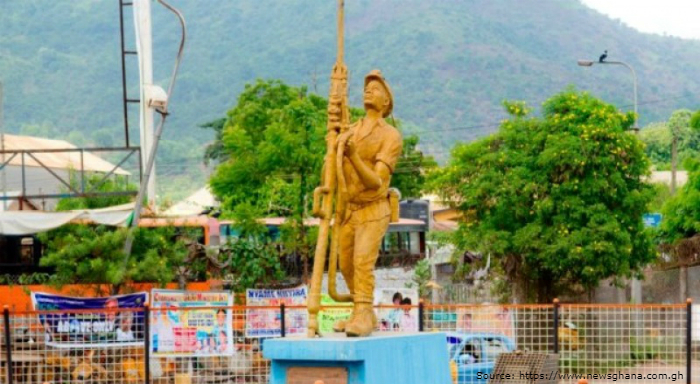 In 2016, in the Ghanaian region of Ashanti, a statue was revealed, which has been dedicated to the miners of the precious yellow metal. The monument is a symbol of the gold mining center of Ghana, the city of Obuasi. An interesting fact: Ghana ranks 9th in the world in terms of gold mining activities — nearly 115 tons of the precious metal are mined annually. Gold is extracted from mines located several kilometers deep underground. In the photo: the monument is life-sized made and has a gilded cover. In 2017, near the Grand Canal of Venice, a 20-meter golden tower has been installed. Its creator — American artist and sculptor James Lee Byars. Byars enjoyed working with gold, saying that the precious yellow metal symbolized infinity and greatness to him. 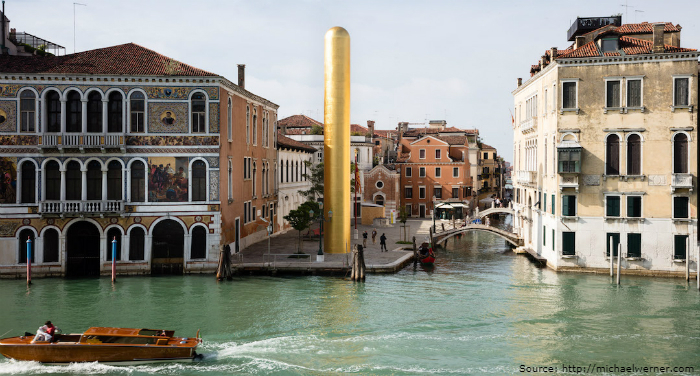 An interesting fact: the "Golden Tower" left Venice six months after the installation and returned to the gallery in New York that safeguards the legacy of Byars. In the photo: a monolithic tower, called the "monument to humanity", symbolizes the unity of the East and the West.